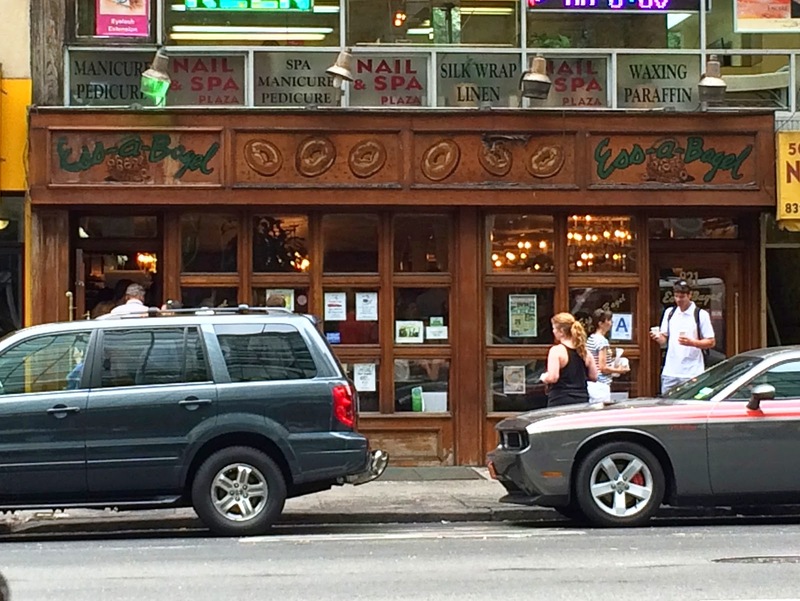 For Everyday Indulgences of...: NYC Trip Roundup! It's been a while since my last post...because I have been away on a business trip in New York City! Although I was only gone for little over a week, it took just as much time to get ready and to settle back into my daily life. Today I want to share the bits and bobs of my trip. Mailing home a postcard and buying an ornament is my travel tradition, here are the two newest additions to my collections ([Read Here] for my postcard collection and [Read Here] for my ornament collection). Despite being no stranger to travel or to NYC, this is my first time ever traveling for business! My trip schedule was super packed, so I had very little personal time. I tried to make the most of my time to go around the city and to meet up with a couple of old friends. 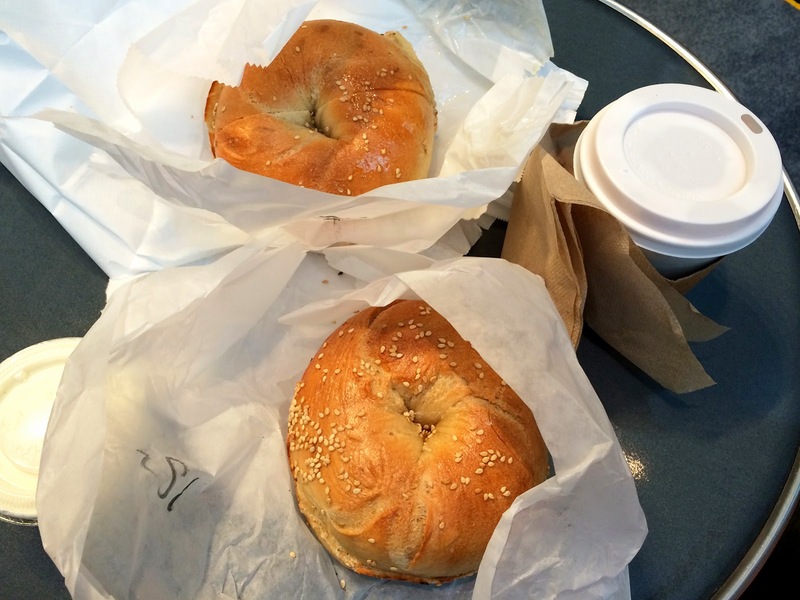 Given how I used to live in Montreal and how good the local bagels there are, I am surprised by how much I love the bagels at Ess-a-Bagel! I went around 8:30am on a weekday morning and the queue was a 15 minutes wait. The sesame bagel I had was much fluffier than the Montreal variety and was absolutely delicious! The serving of cream cheese is extremely generous, so I would recommend asking for it on the side. 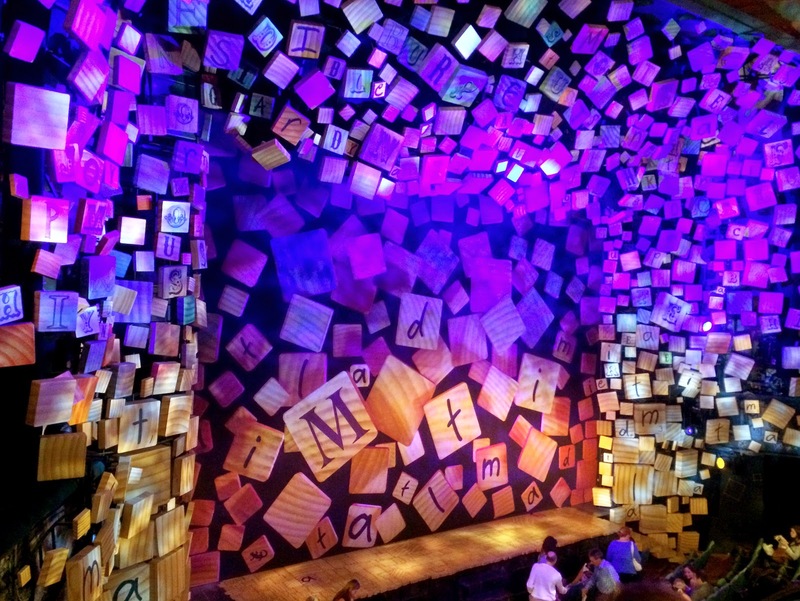 Later that night, I went to see Matilda on Broadway! The production was fantastic, everything from the cast to the set to the soundtrack was perfect. I cannot praise it enough. Toward the end of my stay, I managed to stumble past the Museum of Modern Art (MoMA) when the admission was free! 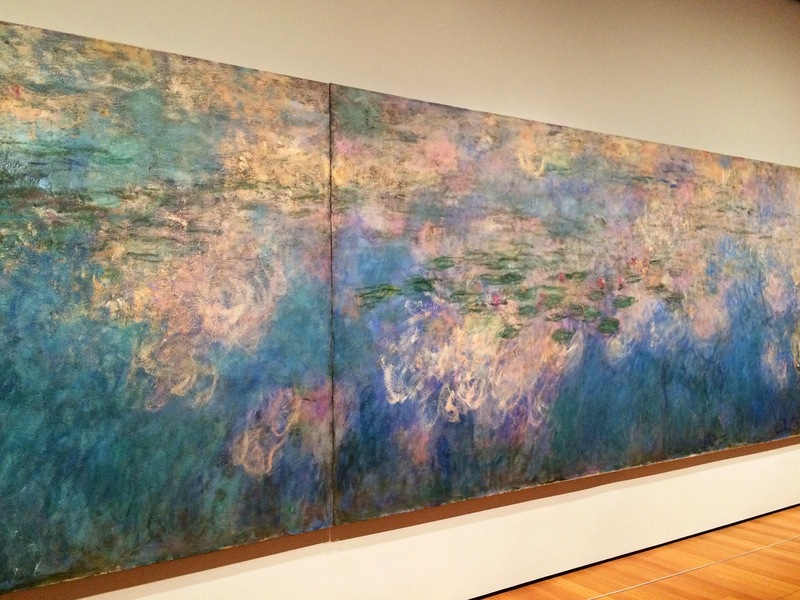 Besides some classic pieces such as the Monet water lilies below, some of the more contemporary pieces were also very intriguing. I enjoyed my visit. Given how the complimentary admission was at the courtesy of Uniqlo, I swung by the flagship location on 5th Avenue just around the corner from MoMA. I made several purchases, but my favorite has to be the 2-Way Lace Tanks. The fabric is very comfortable and thick enough to wear on its own. The fact that I can alternate between the scoop neck and the V-neck on the same tank top makes these not-so-basics a great investment. At US$5.90 a piece on sale, it was definitely value for the quality! I also love the lace trims and how I wish that I had picked up more colors! I am ending this post with dinner at Joe's Shanghai. 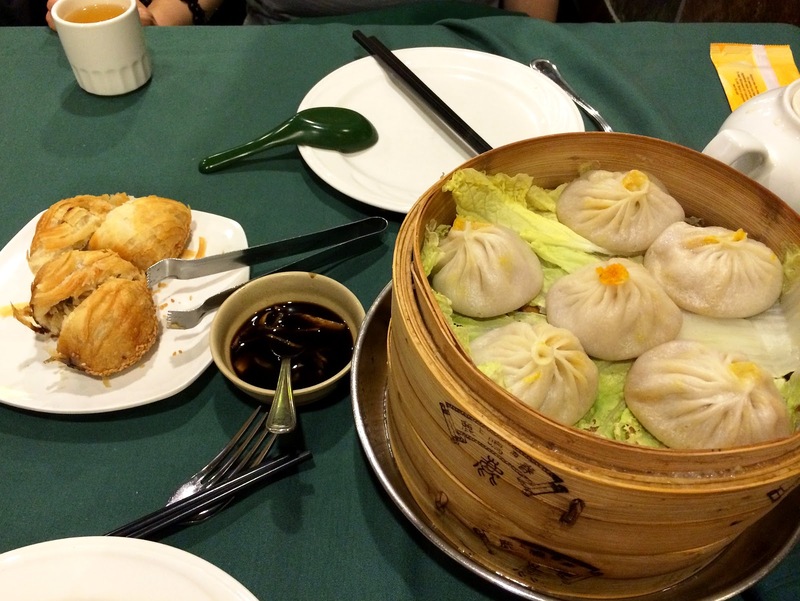 These are probably the best soup dumplings that I have had in a very long time. This has been a busy and wonderful trip to NYC.